Hyperglycemia was more common in the hydrocortisone plus fludrocortisone group. According to research published in the New England Journal of Medicine, 90-day-all-cause mortality was lower in patients with septic shock who received hydrocortisone plus fludrocortisone compared with placebo. In a multicenter, double-blind, trail (ClinicalTrials.gov Identifier: NCT00625209), researchers evaluated the effect of hydrocortisone plus fludrocortisone therapy vs placebo in 1241 adults with septic shock. Primary outcome was 90-day-all-cause mortality. 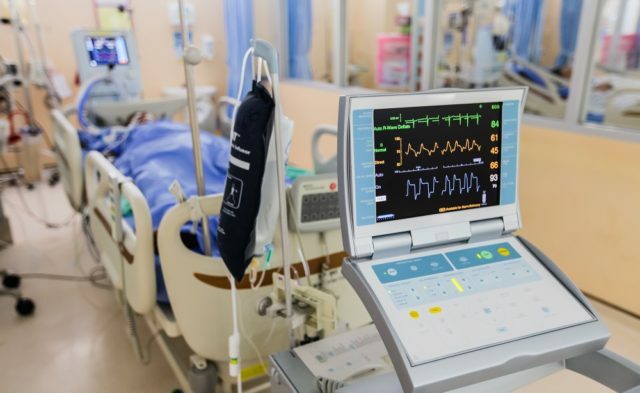 Secondary outcomes were mortality at intensive care unit (ICU) and hospital discharge and at day 28 and day 180 and the number of days alive and free of vasopressors, mechanical ventilation, or organ failure. The 90-day mortality was 43.0% in the treatment group and 49.1% in the placebo group (P =.03). Relative risk for death in the treatment group was 0.88 (95% CI, 0.78-0.99) and mortality was significantly lower in the treatment group compared with the placebo group at ICU discharge (35.4% vs 41.0%; P =.04), hospital discharge (39.0% vs 45.3%; P =.02), and day 180 (46.6% vs 52.5%; P =.04) but not at day 28 (33.7% vs 38.9%; P =.06). The numbers of vasopressor-free days to day 28 and organ-failure-free days was significantly lower in the treatment group as well. The number of ventilator-free days was similar between groups as were rates of serious adverse events. However, hyperglycemia was more common in the treatment group. Does the SEP-1 Bundle Improve Survival in Sepsis? Results showed an absolute difference in 90-day-all-cause mortality and relative difference of 6% and 12% respectively, which is in keeping with recent reviews regarding the survival benefits of corticosteroids in cases of sepsis. Annane D, Renault A, Brun-Buisson C, et al. CRICS-TRIGGERSEP Network. Hydrocortisone plus fludrocortisone for adults with septic shock. N Engl J Med. 2018; 378:809-818.